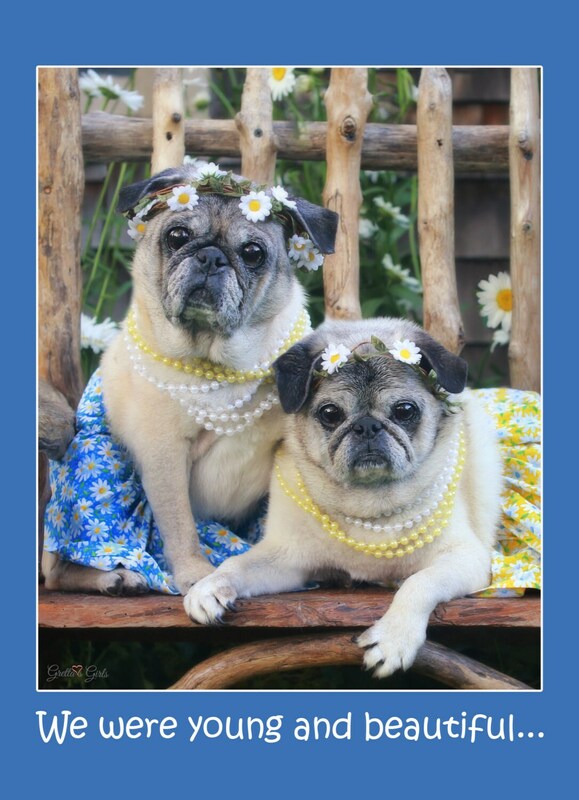 This item is one, "We Were Young and Beautiful," funny birthday card by Pugs and Kisses and Gretta's Girls. 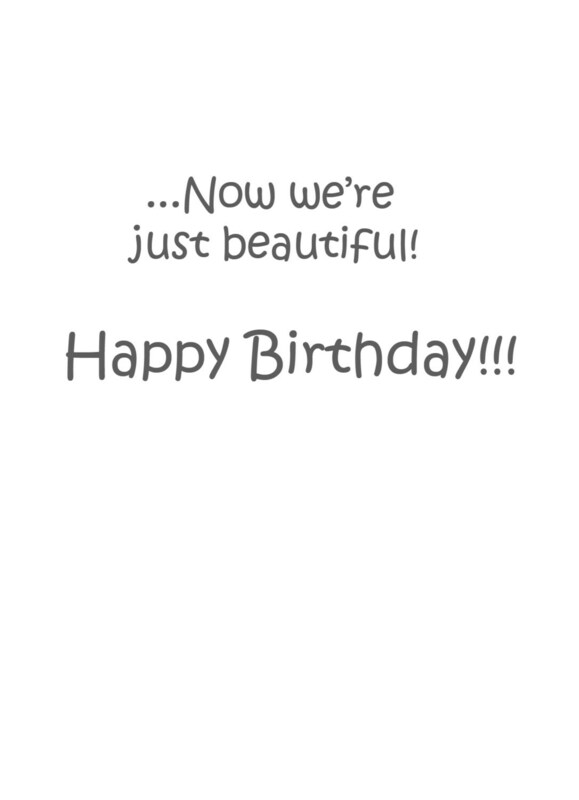 This card features two adorable friends. 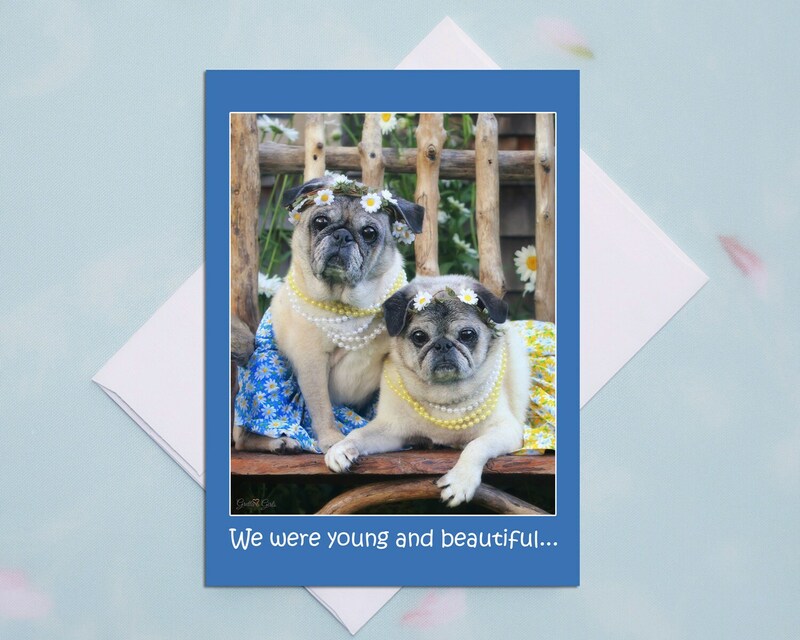 "We were young and beautiful..."
This birthday card is sure to spread love and fuzzy feelings to your special friend on her special day!